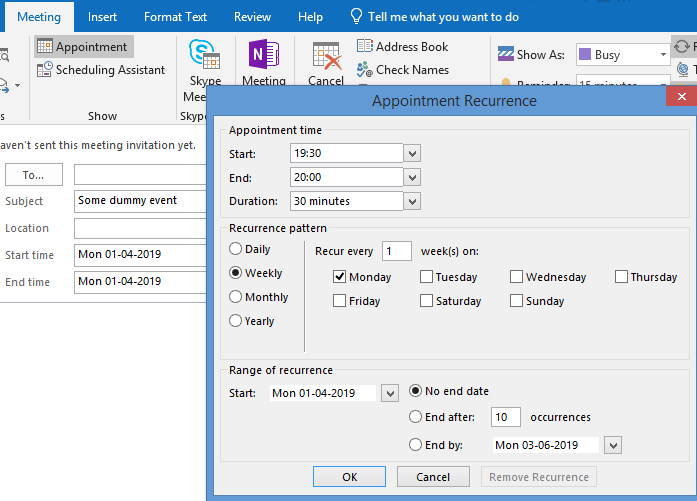 Anurag Ruhela's Blog: Scheduling meetings like a Pro! Scheduling meetings like a Pro! It is a Sunday evening and a meeting reminder pops up on your mobile screen. It's damn annoying, but I have seen people doing it all the time. They schedule a recurring meeting without considering your weekend and that makes me go crazy. It's my day off, that meeting reminder popping on my mobile screen is the last thing I want to see. This post is dedicated to those dummies who have certainly got promoted because of their hair greying but don't for sure know how to schedule a meeting. click 'New' on top left corner -> Calendar Event. The title should be meaningful, something like 'Let's meet' doesn't make any sense if you are sending that invite to 5-10-20 people in your organisation. It has to make sense. Remember to cross-check your spelling because it is going to be there in the calendar for some time. You don't want to be wrong in that. while adding people make sure you want them as an optional attendee or required one. Scheduling assistant can help you in determining whether the person you are inviting is available at that time. Now the most important thing, making a meeting recurring without disturbing people at their weekend. 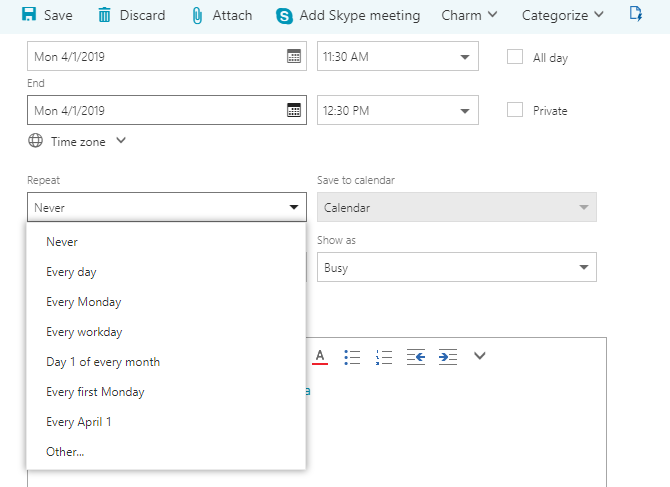 You can select 'Every workday' or select 'Other' from the dropdown if you want the meeting to occur on a specific day. 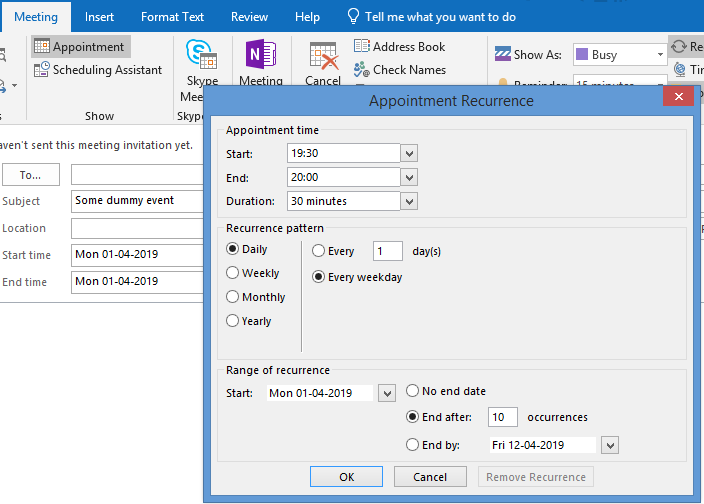 Clicking on Appointment in the Meeting popup will open one more popup to help you schedule the appointment. Recurring Appointment - Weekly. It provides you with the option to select your weekdays. 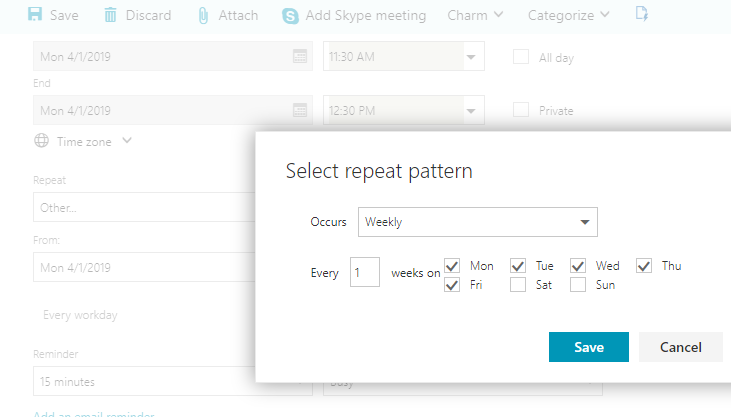 Which Software/Application/Platform do you use to schedule meetings?